With the arrival of Spring and the end of wintery climes, the Italians are looking forward to their annual round of feste and sagre that traditionally get going in the run up to the summer. There is no better way to lap up the flavour and culture of Italy than to meet up with the locals in the village festival and to join in! 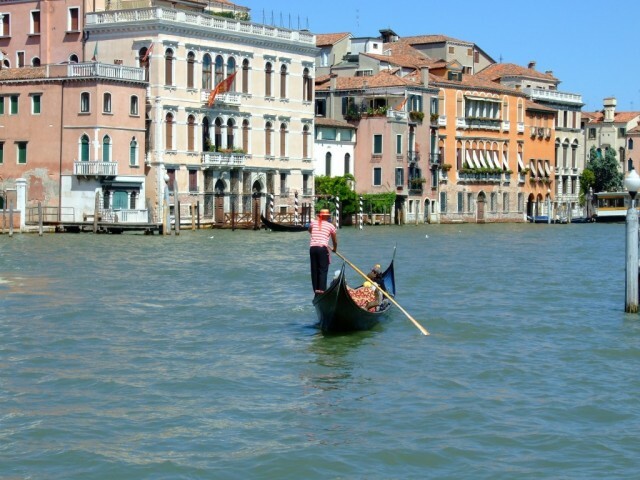 The Veneto area is home to numerous local feste – every village seems to have one! The tiny village of Lumignano plays host to its annual pea festival on 16th-18th May and 23rd-26th May. These sagra dei bisi, as its known in local dialect, showcases just how many different ways you can present a pea! Find some inspiration in this local sagra, where the humble pea is worked into a multitude of tasty pasta dishes and mouthwatering risottos. The Veneto is dappled with cherry orchards and just a stone’s throw from l’Albara, the sagra dea siarese in nearby Castegnero celebrates fresh and deliciously ripe cherries.The locals will be out in force from 23rd May to 2nd June making for a vibrant atmosphere with masses to eat. And finally Pizza solo Pizza in Montegaldella provides an excellent excuse to partake in arguably Italy’s most famous export from 30th May to 2nd June. The Italians are a musical lot and Spring sees a number of music festivals bursting into song in celebration. Maggio Musicale in Florence kicks off in May and is reputed to be one of the best music events in Italy, if not Europe. A number of famous performers made their debut here but it also includes adventurous ballet compositions and innovative set design aside from the opera. Of course, the Tuscans don’t just limit themselves to music and are renowned for their flamboyant festivals, often with a mediaeval theme. So while the rest of the world looks to Brazil and the world cup, the Florentines hold their annual football tournament in mid-June – dressed in 15C costume! This rough form of the beautiful game came into being when, after Florence had been under siege for many months, the local youths came out and kicked a ball around to show their enemies, Siena, that they were not beaten yet! Our Heart of Venetia Cycling and Volterra to San Gimignano Walk are both perfectly placed to sample these delights. Not to be outdone by their Tuscan neighbours, Umbrians love to let their hair down and try to upstage their next door rivals. This is particularly true of Assisi’s Calendimaggio from 8th-10th May, a celebration dedicated to St Francis and the arrival of Spring, with opposing teams from ‘upper’ and ‘lower’ Assisi competing in a palio (horse race). There are mediaeval games, a love song competition and a procession in traditional period costume. 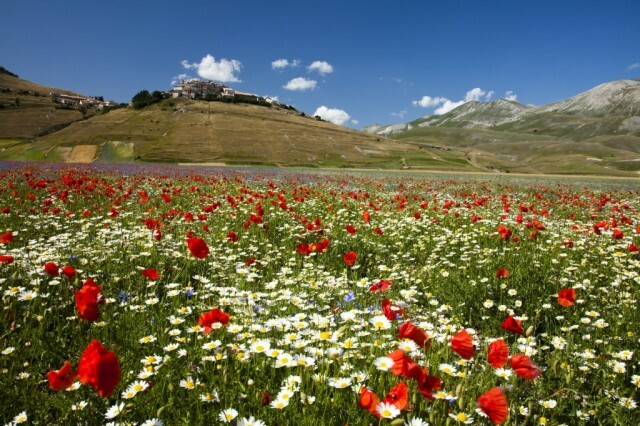 Our Footsteps of St. Francis Walk takes you through Assisi as you explore the rich rolling countryside of the Assisi valley. Of course it’s not just Siena and Assisi who are competing in the palio stakes! 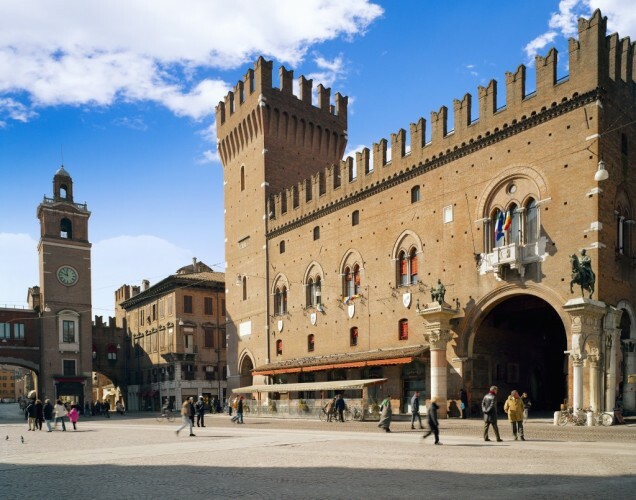 Step in Emilia Romagna: Siena may boast having the most famous palio in the world, but Ferrara claims to have the oldest, dating back to 1259! The event sees weeks of celebrations throughout the month of May between the 8 contrade (districts), culminating in the palio on 1st June. Our Cycling in Emilia Romagna explores the eastern part of the region, where the gold sand beaches of the Adriatic stand alongside undiscovered art cities like historic Ravenna, once Seat of the Western Roman Empire, and Ferrara, Italy’s ‘cycling capital’. Most festivals are free of charge; some may require tickets to be purchased in advance or incur a small charge locally, but they will all enhance your Italian experience.